Other Topics - The Firearms Academy of Seattle, Inc. Many FAS students have asked for training in physically surviving the immediate aftermath of a deadly force attack. What can be done to staunch life-threatening blood loss and similar injuries after you have stopped the attack against you or against a loved one or companion? Do you know how to defend your handgun against a large, aggressive attacker, or what to do if a street thug sticks a gun in your face during an assault and threatens to blow your head off? Once you complete this class, you will know exactly what to do. An extension of our popular Handgun retention and disarming class, students will get a review of the core handgun retention and disarming techniques. Also covered: long-gun retention and disarming, dynamic non-scripted attacks to drawn and holstered gun, defending against multiple attackers, and low light retention. (Pre-requisite is the Handgun Retention and Disarming seminar AND the free re-take). John Farnam's Armed Response to a Terrorist Attack is designed to prepare armed citizens against the threat of terrorist violence and other active-shooter events. We have seen the need to develop this specialized firearms course with a focus on armed response to these unique dangers in our modern world. Classroom instruction will cover practical options and tactics intended to give individual operators the life-saving mindset and skill sets for prevailing against such attacks. This is a combined rifle and pistol course, with heavy emphasis on pistol. An intensive study of defensive firearms that teaches extreme speed for hits, and includes shooting at greater distances, and management of such contingencies as weak hand draws, one-hand only reloads and malfunction clearing if wounded, etc. 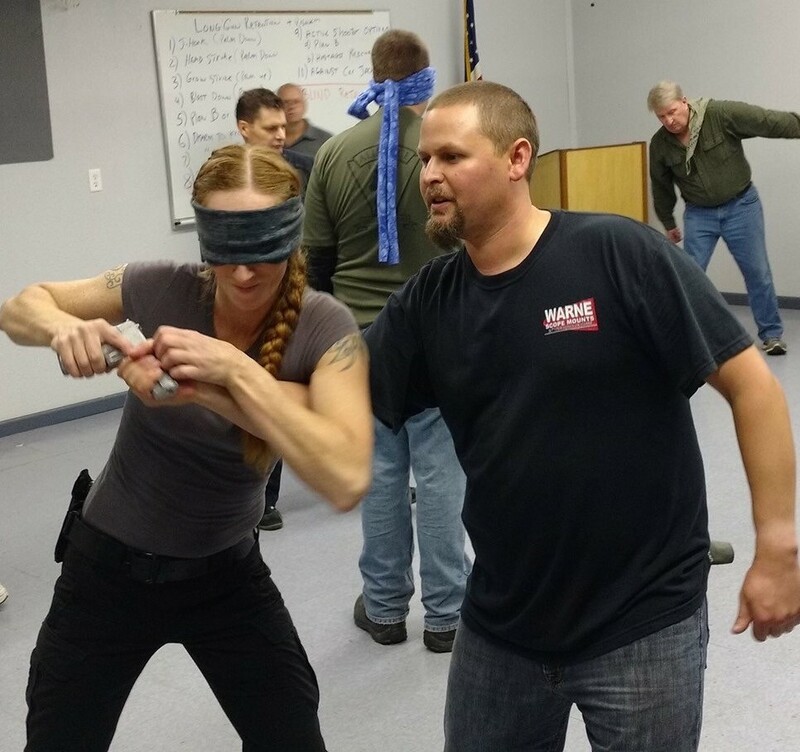 Students receive several hours of hands-on training in handgun disarming, and in countering attempts by an attacker to disarm them. Shooting while moving, and use of long guns for defense, are among the areas covered.